Henryk Zygalski's parents were Michał Zygalski (born 15 September 1874 in Obra, Wolsztyn County, now Poland) and Stanisława Kielisz (born 8 October 1880 in Pniewy, Szamotuły County, now Poland). Michał Zygalski ran a tailor's shop at 22 Mielżyńskiego Street in Poznań. Henryk attended the St Mary Magdalene Gymnasium in Poznań where his favourite subjects were mathematics and physics. In May 1926 he took his final high school examinations; on 4-6 May he sat the written papers and then, on 14-15 May, he was given oral examinations. The examining committee was chaired by the Director of the Gymnasium, Dezydery Ostrowski and the committee consisted of Julian Janicki, Mieczysław Michałkiewicz (who examined Polish), Kazimierz Pertek (who examined the Latin language), Jan Odroń (who examined the Greek language), Aleksander Tarnawski (who examined history), and Józef Huss (who examined mathematics and physics). Later in the year 1926 Zygalski entered the Faculty of Mathematics and Natural Sciences of Poznań University. This was a comparatively new university at this time having been founded in 1919 following the end of World War I.
Zdzisław Krygowski (1872-1955) was a mathematician who had been awarded a doctorate by Kraków University in 1895, had studied with Lazarus Fuchs and Hermann Schwarz in Berlin, then with Émile Picard in Paris. He taught at Lwów Polytechnic where he was rector in 1917-18 but moved to Poznań University as professor of mathematics in the year that the new university opened. Zygalski attended Krygowski's courses on higher algebra and on mathematical analysis at Poznań University. 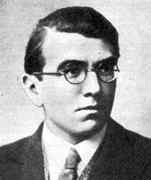 In January 1929 Zygalski attended a new cryptology course and, because of the importance of this, we must fill in a little background about the course. A few weeks into the course, the students were given real German ciphergrams to solve. The students were told that this system had already been broken although for a time some consultants of the Polish Cipher Bureau had considered it unbreakable. The students were also told what the text was about which helped to narrow down the vocabulary used. A couple of hours later, some of the students including Rejewski, Zygalski and Rózycki proved capable of decoding the message. As the course progressed, the ciphers became increasingly more difficult. Unsuccessful students started dropping out of the course and others decided they did not have enough skill to keep going. Only the above-named three students managed to reconcile their regular course work with the cryptography course. Rejewski graduated from Poznań University in March 1929 but Zygalski continued to study at Poznań for his Master's Degree in Mathematics. However, from the summer of 1930 Zygalski worked for 12 hours a week at a laboratory set up in the underground vaults of Poznań's military command in St Martin Street, close to the Mathematics Institute, deciphering German messages. This was organised so that he could continue with his university courses. He passed his final University Master's Degree examinations on 7 December 1931 and agreed to continue working for the Cipher Bureau which was soon to be moved from Poznań to Warsaw. By September 1932 Zygalski was working at the Ministry of War building in Marshal Pilsudski Square in central Warsaw but later the team moved to Biuro Szyfrów-4, the cipher office dealing with German messages in Kabackie Woods outside Warsaw. The Polish team tackled what was considered by the German military to be unbreakable. These twenty-year-old mathematicians, unversed in traditional schematic routines of academia, using their linguistic and imaginative abilities, formulated bold new theories of probability, permutations and group theory. They worked out how the German Enigma machines were constructed and by the end of 1937 they could decode all German messages sent by their Enigma machines. They also constructed a machine they called a "Bomba" to speed up the decoding which might be considered to be one of the first modern computers to be built. Zygalski contributed to the whole of this work but he is famed for one particular advance that he made. Even having built a replica of a German Enigma machine, there was still the problem that before a message could be decoded they had to know the setting. In the autumn of 1938, Zygalski came up with perforated sheets which became known as a Zygalski sheets, which could be used to determine the setting. In fact, n! sheets were required for an Enigma machine with n rotors so, for the initial Enigma machines with 3 rotors, only 6 Zygalski sheets were required. However, when 5 rotor Enigma machines came into use 60 Zygalski sheets were required. See  for details on how the Zygalski sheets were used. Believing that war was imminent, the Poles decided to pass their knowledge of the Enigma machines to the British and French cryptographers. On 24-25 July 1939, British and French experts met Zygalski and the other two Polish cryptographers at Biuro Szyfrów-4 in the Kabackie Woods outside Warsaw. At this time they gave one of the replica Enigma machines which they had constructed to the British and one to the French. The contribution this made to the decoding work at Bletchley Park was vital, since it is unlikely that the British would have been able to read German messages but for this input by the Poles. It is not overstating the case to say that Zygalski and his two colleagues changed the course of the war. On 1 September 1939 German armies invaded Poland. On 3 September the British and French declared war on Germany and on 5 September Zygalski, Rejewski and Rózycki were told to evacuate Warsaw on a special train. Before they left, however, they destroyed all the evidence that they were working in the Enigma machine so that the German invaders would not learn about their work. With German armies attacking from the west, they went east crossing the border into Romania on 17 September. Reaching Bucharest, they presented themselves at the British Embassy but were told to go away and come back in a few days. They did not wait but contacted the French who arranged for them to go to Paris. They then returned west through the north of Italy which, at this time, was not at war. From Italy they entered into France and made their way to Paris. On 20 October 1939, the three Polish mathematicians began decoding German ciphers from station P.C. Bruno which was established in Gretz-Armainvillers close to Paris. They decoded around 9000 messages relating to the Norwegian and French campaigns. On 10 May 1940, Germany invaded Holland, Belgium and Luxemburg then quickly moved to attack France by early June. P.C. Bruno was evacuated on 9 June. On 14 June German troops entered Paris and, on 22 June, French Marshal Pétain signed an armistice. This divided France into Vichy France, controlled by a government collaborating with Germany, and a part under direct German control. On 24 June Zygalski and his two colleagues were flown to North Africa, given new identities in Algiers, and were then returned to Vichy France where they again worked on cryptography. At this time they were based at station P.C. Cadix outside the town of Uzès close to the Mediterranean. Zygalski and his two Polish colleagues operated as Station 300. This was an extremely difficult period since they were working in Vichy France which was collaborating with Germany so they played a double game which their French colleagues did not recognise. The three Polish mathematicians also spent time at a base in Algeria in North Africa. There they gathered information in preparation for Operation Torch, the Allied invasion of North Africa. Rózycki died on 9 January 1942 when the ship he was travelling on was sunk while crossing the Mediterranean from Algiers to France. On 10 November 1942, following an invasion of North Africa by the Allies, German troops occupied Vichy France. Zygalski and Rejewski, having learnt in advance that this was about to happen, fled first to the Italian zone, then back to occupied Vichy France, and finally on 29 January 1943, travelled to the Spanish border accompanied by a smuggler. While on this journey the two Poles were robbed at gunpoint by the smuggler. Once in Spain, Zygalski and Rejewski were arrested. Spain at this time, although a neutral country, was collaborating with Germany. After a short time in prison, Zygalski and Rejewski were released and went first to Madrid then, at the end of July 1943, they fled to Portugal. A British naval vessel was anchored off the Portuguese coast and they were taken to it in a small boat. Once in England, Zygalski and Rejewski became part of the Polish Signals Battalion stationed at Boxmoor near London. They did no further work on the Enigma codes but they did work on breaking German SS and SD hand ciphers for the rest of the war. It is unclear why these two exceptionally talented men were not allowed to contribute to the work of decoding Enigma messages going on at Bletchley Park, particularly since they had collaborated with Bletchley while at station P.C. Cadix in Vichy France. During the war a Polish Government-in-Exile operated in Britain and in 1942 it set up a Commission for Higher Technical Education. The object of the Commission was to train scientists and engineers who would be in a position to lead reconstruction in Poland after the war ended. However, after the war ended, Poland became part of the Soviet system and, although Poles could return to their home country from Britain, nevertheless, they knew that the Communist government would treat them with considerable suspicion. Although some returned, as for example Rejewski did, nevertheless the majority, including Zygalski, decided to remain in Britain. The original purpose of the Commission for Higher Technical Education having gone, it became, by Act of Parliament, the Polish University College in 1947. The College, based in eight buildings between Knightsbridge and Putney, taught courses with the aim that students would sit examinations for external University of London degrees. A student was taught in Polish for two years and then courses would be in English. Some features of a Polish education were retained, such as students writing a thesis in their final year, but the curricula were essentially those of the University of London. Zygalski was appointed to teach at the Polish University College from the time it was set up. In 1951 it was agreed that Battersea Polytechnic would take over the Putney Buildings of the Polish University College as well as their remaining students. However, in a move that caused resentment, only eight of the staff of the Polish University College were to be given positions in Battersea Polytechnic. Zygalski, however, was one of the eight. In June 1957 Battersea Polytechnic became a College of Advanced Technology. Then, in September 1966, Battersea Polytechnic achieved university status and it became the University of Surrey. Zygalski was at last was on the staff of a university but, sadly, his time as a university teacher was short for he suffered a stroke in 1968. One of the biggest regrets of my life is not being sufficiently aware of his work at an age when I could ask him about it, because he never talked about it spontaneously. At the age of 60 he had a stroke and for the next ten years until he died he was less and less able to communicate, so I missed a valuable opportunity to find out more about what he did. In 2002, a group of history and cryptology enthusiasts proposed commemorating this achievement with a monument where the history of breaking the Enigma ciphers began - in Poznań, Poland. ... From the 24 proposals received, the jury unanimously selected the design by Grazyna Bielska-Kozakiewicz and Mariusz Krzysztof Kozakiewicz. Their work represented the prism of a regular triangular base - its sides covered with rows of numbers. On each side of the monument, the name of one of the codebreakers emerges from the chaos of numbers. In its verdict, the jury remarked that the winning project "represents in the purest form the brilliant thought of the three mathematicians. The artist himself seems to step aside permitting the spectator to contemplate the purely intellectual achievement of the three cryptologists." The monument was unveiled on 10 November 2007 in Poznań Castle, the site of the Department of Mathematics where the three had studied. The date was the 75th anniversary of the first Enigma code being broken. You can see the monument at THIS LINK. Other events commemorating their remarkable achievements have been a conference "Secrets of Enigma" held in Bydgoszcz, Poland, on 9-10 November 2004, the visit to Bletchley Park in 2014 by relatives of the three cryptologists mentioned above, and the publication of several books, four of which are listed in the References to this biography.